High School goals: To graduate in the top half of my class academically and successfully complete building trades program at Grundy Area Vocational Center. I would also like to add additional regional and sectional team championships before I graduate. However, my biggest goal is to bring home our first boys’ team trophy from the state tournament. Interests/activities besides bowling: My hobbies include snowboarding, paintball and water skiing. I enjoy spending time with family and friends and doing pretty much anything outdoors. What kind of college are you looking for? I would like to attend a college with a good business program that would also allow me to be a part of a competitive bowling program. I’ve always been fortunate enough to be surrounded by great bowlers and coaching. I would like to find a similar atmosphere in college. The ideal place would allow me to continue learning and growing as a bowler, and prepare me for my career goal of running my own construction business. College goals: My main goal for college is to obtain a business degree in construction management or related field. I would really like to do this somewhere that I can contribute to an established or growing bowling program. As a bowler, my biggest goals are to become a better bowler and apply my strength’s wherever they best fit my team. High school bowling awards: Four-time Southwest Prairie all-conference team (2016/17 MVP). Three-time Southwest Prairie team champions. Three-time IHSA regional team champions. Two-time IHSA sectional team champions. Three-time IHSA state qualifier. 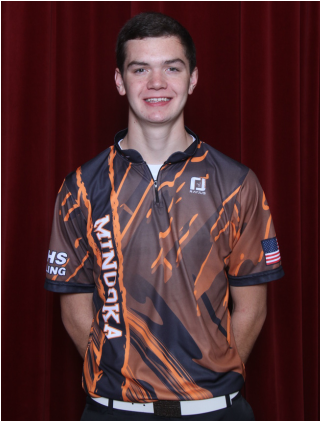 Team member of current IHSA record high game (1285), and high three-game series( 3582). 300 game – 2014 Andrew sectional, 300 game – 2016 SPC conference tournament, 300 game – 2016 SPC conference meet. Freshman average 207, sophomore average 207, junior average 217, current average 225. Other bowling tournament Awards: 2012 IESA Individual State Champion. 2013 IESA team champion, 3rd place individual. Five-time USBC Jr Gold qualifier. Two-time Illinois State Pepsi qualifier.